Despite three Super Bowl rings and a pair of Pro Bowl appearances during an 11-year NFL career, one inductee in the Mobile Sports Hall of Fame’s class of 2018 is best known for two plays he’d like to forget. Another member of this year’s class has a Cy Young award in his trophy case after being named the National League’s best pitcher in the prime of his career, another Major Leaguer ranked 18th on the all-time stolen base list at retirement, and one more inductee has five Gold Medals from the U.S. Sailing Association’s Women’s National Championship. The last two members of this year’s stellar class are equally talented, with one still holding the NFL record for most fumbles recovered in a single season, while the other has over 800 coaching wins in basketball, ranking ninth on the national junior college’s all-time list. Ex-Dallas Cowboy Leon Lett, MLB’s Jake Peavy and Juan Pierre, former NFL star Don Hultz, women’s sailing sensation Amy Chapman Kleinschrodt and legendary Faulkner State basketball Coach Jack Robertson will all be permanently enshrined during the 2018 MSHOF Banquet Tuesday night, April 24, at the RSA Battle House.Social hour begins at 6:00 p.m., with the banquet to immediately follow at 7:00. “It’s an honor to be selected to the Sports Hall of Fame in Mobile,” said Lett, now a Cowboys assistant. “I looked at the list of names (that are already in the Hall) and it’s just an honor to be associated with those people. While Lett had a solid NFL career, he’s most remembered by two botched plays … being run down by Buffalo’s Don Bebe and losing the ball during a premature celebration just before crossing the goal line with a 64-yard fumble return in Super Bowl XXVII, and a failed ball recovery after a blocked field goal in a Thanksgiving Day game. What does he think of those two plays he’ll forever be linked to? “They come up often,” he said with a laugh. “I get it from players I coach now. I get it from little ladies on the airplane, flight attendants, young people who’re related to parents who remember those plays. 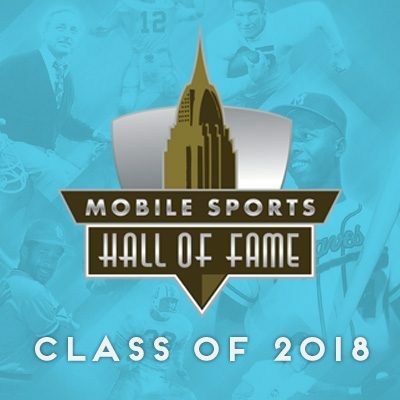 The Sports Hall of Fame will also pay special recognition that night to a pair of Mobile sports broadcasting icons, WNSP Radio’s Lee Shirvanian and WKRG TV’s Randy Patrick. Tickets for the banquet are $100 each and may be purchased on line at www.mobilesportshalloffame.net, or by calling Pam Young at (251) 709-0310. In Super Bowl XXVIII, has six tackles and forced a game-changing fumble that was recovered and returned for a touchdown. Traded to Philadelphia with three other players for RB Ted Dean and the rights to rookie QB Bob Berry. In 1966, he helped the Eagles post a 9-5 record and earn a berth in the Playoff Bowl (NFL 3rd Place Game played at the Orange Bowl 1960-69) against the Baltimore Colts. Helped Padres to NL West title in 2006, leading the NL in strikeouts per nine innings. While living in New Orleans and sailing out of Bay Waveland Yacht Club, was a crew in the 1977, 1978, and 1980 finals, winning Gold in the 1977 and 1980 championships. Skippered in 1997, 2003, 2009 and 2011 Championships, winning Gold medals in 1997, 2009 and 2011 regattas and winning Bronze medals in 2003 and 2010 events. Competitors in the US Sailing Assoc. Women’s National Championship sail boats that are provided by the host club, and teams are required to race each boat at the event once so that nobody will have an advantage in terms of equipment. Teams have also won 14 Southern Division championships. 1991 team won the state JuCo championship and finished sixth in the national tournament in Hutchinson, Kansas. Lee Shirvanian has been the most recognized voice at WNSP-Radio for over 30 years and was the voice of University of South Alabama Jaguars’ sports teams for several of those years. He handled play-by-play for South’s football team the first five seasons and handled the Jags’ radio broadcasts for men’s basketball and baseball. Randy Patrick has been Sports Director at WKRG-TV since 1991. He began his WKRG career in 1980, starting at WKRG Radio and then on to WKRG-TV in 1988, where he has garnered dozens of awards for broadcasting excellence, including the John Harris Lifetime Achievement Award by the Mobile Press Club in 2005. A TRACK & FIELD COLLEGIATE RECORD HOLDER HEADLINES THE LATEST CLASS OF INDUCTEES INTO THE MOBILE SPORTS HALL OF FAME.